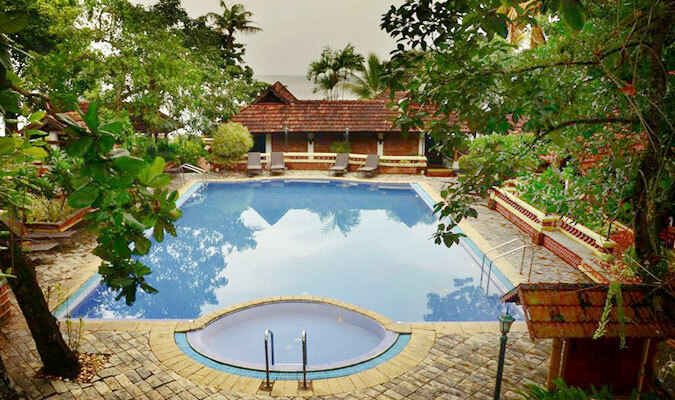 If one comes on a tour to Kerala backwaters, then he/she simply loves the stay at Punnamada Backwater Resort in Alleppey, because of the mesmerizing surroundings of this 4-star hotel. The hotel offers a stay that completely soothes one’s senses and uplifts his/her spirits. The hotel is located nearby the airport and railway station and also to major attractions in the city and hence it is preferred a lot by all kinds of tourists. Lake View Villas: Lavish rooms installed with all modern amenities are very spacious and offer amazing views of the lake and also is host to abundant sunlight. 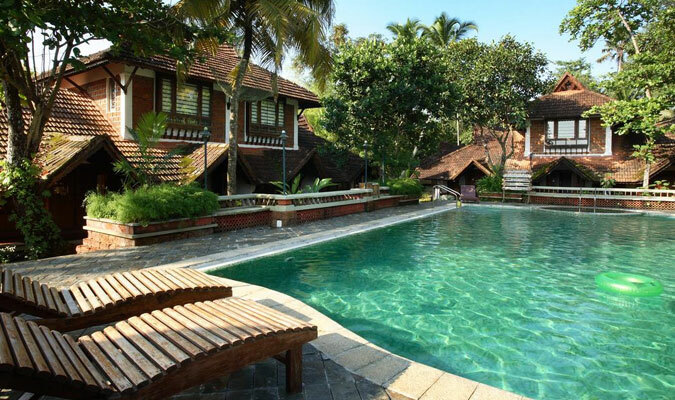 Garden side villas: These rooms are preferred by all the nature lovers for they are located among lush green gardens. Two-storied villas: For a stay with your family, these very spacious rooms are perfect, with a view of the swimming pool from the balcony. The 4-star hotel enhances one stay with the culinary delight that are prepared and served in the restaurants to the esteem guests. Avail any of the following specialty restaurants in the hotel for a fine dining and wining experience. Sadhya: Serves delectable multi-cuisine food specializing in Continental, European, Indian and Kerala dishes. Choola: Amazing restaurants serving authentic Indian dishes cooked and prepared in traditional ways of cooking on choolas. Lawn: Serves assorted range of world’s best of the best liquors for an amazing time.